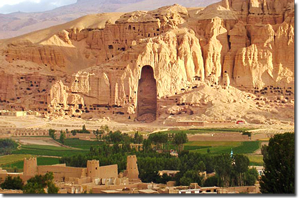 You are currently browsing the tag archive for the ‘Mes Aynak’ tag. Fantastic news!! We have blown past our original goal of 10,000 signatures on our petition to protect the Mess Aynak site from Chinese mining developers. 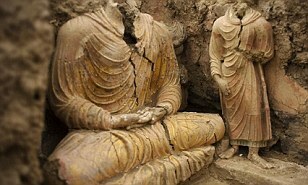 Can you imagine these incredible archaeological treasures being destroyed for commercial profiteering? Well, more than 10,000 of you think that is a bad idea and we THANK YOU FOR YOUR INCREDIBLE SUPPORT!! As of today, we have 10,360 signatures and we are going for a stretch goal of 20,000 by the end of June 2011. WE CAN DO THIS! We will be reporting on progress in our April newsletter which features an article on Mess Aynak by Professor Tarzi himself. You will not want to miss this exclusive! Sign up for a subscription to this blog so that you will not miss any future news. Add your signature to the Care2 petition by clicking here.